POITOU, FRANCE – As you plant… so shall you reap. Everything has its season. Stock markets. Empires. Tax cuts. Here in France it is mushroom season. This weekend, our friend François divulged his secrets. He offered to show us where to find the “cèpe” mushrooms favored by the locals. 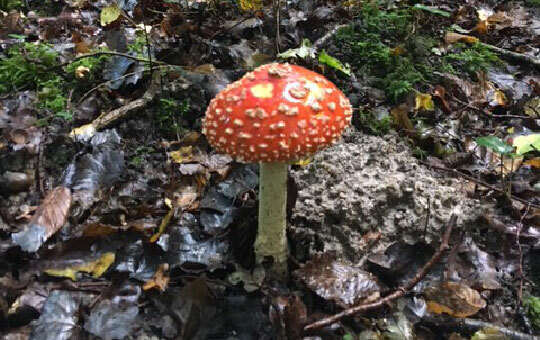 The brightest, most attractive mushrooms are the most poisonous. “Mushrooms are finicky,” he explained. We’re in the midst of a historic series of bubbles… a stock market bubble, a bond market bubble, and a student loan bubble. Doug Casey refers to this as the “Everything Bubble.” And when it pops, he believes it will create perhaps one of the greatest speculative opportunities of all time for investors who take action right now. For the full details, click here. Each season has its purpose. Each has its pleasures and challenges. There is youth… young adulthood… maturity… and retirement. Live to be 80, and you spend one-quarter of your time in each season. You grow. You learn. You take charge. And then, in the final stage… you turn over the controls to someone else. You expand. Then you contract. You accumulate… and then you give up. You make mistakes in one season… and you pay for them in the next. Today, we reflect on the autumn season… when debts get reckoned. But we interrupt this autumnal reverie with a flash update: Last week, the Trump team’s centerpiece legislation, a massive tax reform that would be a “miracle for the middle class,” was born. This week, the miracle is dead. Yes, there are seasons for tax reform, too. A time to cut taxes. A time to increase them. And a time to refrain from embracing damned foolish time-wasters. Right now, the masses of “herd” investors are piling into mainstream stocks, completely convinced that this overvalued bull market will just “keep going.” But they’re ignoring an even more lucrative opportunity in a hidden sector completely outside of the equities market. Only a handful of millionaire “lone-wolf” contrarian investors are paying attention to it – licking their lips in anticipation of windfall profits that haven’t been seen in seven years. 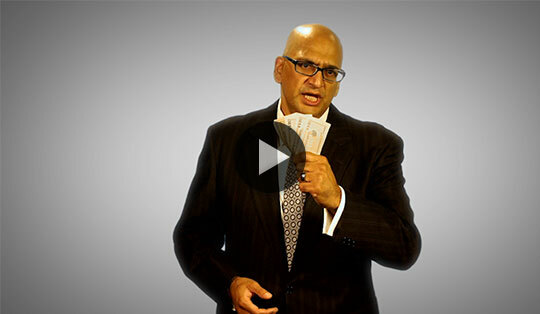 If you’re an independent thinker who is brave enough not to be just another “herd” investor, click here to learn the details of this “lone-wolf” opportunity. The real miracle of the GOP-Trump tax plan was that anyone took it seriously, even for 48 hours. Everything about it was either fraudulent or contradictory… usually both. With our plan, we actually pay down the deficit by $1 trillion, and we think that’s very fiscally responsible. Behind this remarkable statement is a whole Mount Olympus of myth and delusion, the tax gods frolicking lasciviously with the economic nymphs and financial satyrs. So much that they will not only fund current deficits (soon rising to $1 trillion a year), but also fund the cost of the tax cut (about $4 trillion, but nobody really knows because the Deep State tax lobbyists haven’t even begun working on it). How the gods must have laughed! Imagine… a $4 trillion tax cut that ends up not only “paying for itself” but brings another $1 trillion to the nation’s bottom line. Now, that is truly a miracle. The effective corporate tax rate – what businesses pay on their taxable income – is only 22%. Knocking off another 2% is hardly going to bring about an economic renaissance. Strange website could let you earn $860+ a WEEK! A big tax cut for the middle class – if that were on offer, which it isn’t – wouldn’t make much difference either. The bottom 75% of taxpayers contribute only 14% of the feds’ tax revenues, with an average tax rate below 10% of income. Neither corporations, nor the middle class, are big taxpayers. The big taxpayers are the rich – the people the Trump team has promised not to favor with a tax cut. And even if you did give the rich a tax cut – which is what this tax proposal really is – it would be very unlikely to result in additional growth. Because the rich don’t run out and spend every extra dollar that comes into their hands. Instead, they invest it. But wait… more investment… more capital spending… more jobs… more productivity – that’s what we want, right? Oh, dear reader, if only it were that easy! More capital in the hands of the capitalists ought to result in more investment and more output. The bulbs and seeds planted in the springtime ought to sprout jobs in the summer and profits in the fall. But the feds have fouled the earth. Now, the seasons no longer reward thrift and industry; they reward corruption and waste. The Fed has held short-term interest rates near zero for the last eight years. Corporations have had access to all the investment money they wanted. Net of inflation, the money was free. And what did they do with it? Did they build new factories… hire and train more workers… develop more infrastructure… sell more and better products… improve their services and increase their profits? The rate of “real” (inflation-adjusted) net capital investment fell. Instead, U.S. corporations spent $5.5 trillion over the last 10 years, much of it borrowed, to buy back their shares and cancel them (a way of engineering a higher share price for their remaining shares). We’ve never met a tax cut we didn’t like. This one – were it to pass – is no exception. It would save us a lot of money. But even in today’s season of hallucination and corruption, the proposed tax cut is a masterpiece – a flimflam wrapped in a swindle. It would do nothing for the middle class or for the economy. Tax cuts let people keep more of their money. Then they do win-win deals; the economy grows. But this economy doesn’t lack money. It has too much fake money lent at fake interest rates. What it lacks is honest money… and honest people in charge of it. 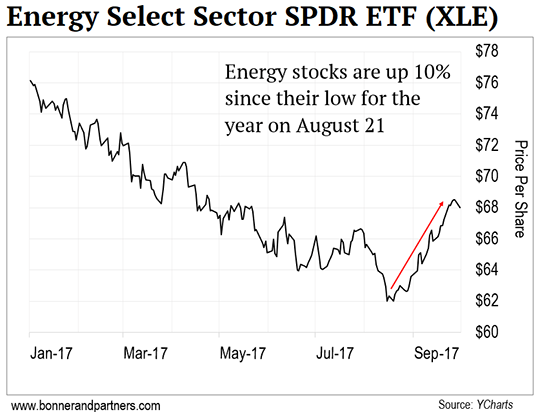 The Energy Select Sector SPDR ETF (XLE) tracks the performance of 32 stocks in the U.S. energy industry, including some of the world’s largest oil producers. Top holdings include oil majors Exxon Mobil, Chevron, and ConocoPhillips… oilfield services company Schlumberger… and oil and gas exploration company EOG Resources. As you can see from today’s chart, XLE has been in a downtrend for most of the year – with peak-to-trough losses of 19%. But since bottoming on August 21, it’s up 10%. This made energy the best-performing U.S. stock market sector in September. What If Inflation Never Comes Back? It is estimated that Americans lose $17 billion annually by cashing out of their 401(k)s early. Here’s why your biggest retirement obstacle could be self-imposed. Bitcoin has had a wild ride in 2017. The cryptocurrency is up more than 300% since January. Bill’s longtime friend and legendary investor Doug Casey makes a startling prediction for the future of bitcoin. If only it were true that the government could just stop collecting all taxes and everything would be fine. But you know that that is not the case. Some things we need in society, nobody is prepared to pay for. Without a social infrastructure, win-win deals stop and violence prevails. I think you are preaching a false dichotomy. We pay politicians to do that. You say the billionaire spends his own money. I say the billionaire stole, legally, his money from others and it’s not all his. Take Bill Gates for example: He didn’t build or pay for the power grid that he used power from to run his computer. He paid a little each month, but there was a big initial investment made by others which he took advantage of, which is OK but should be acknowledged. The government does some things that help us all. When was the last time you got on an airplane and checked the airworthiness certificate or did you depend on the FAA, i.e. government, to make sure it was safe? Did you check out the pilots to make sure that they were qualified? I doubt it. Rome built roads and the U.S. built freeways for similar benefits. Now I would agree the Department of Defense, which I worked with for 30 years, is largely a waste. Eisenhower warned us and he knew. So it’s not a totally good or bad situation. If all the money was distributed evenly, sooner than later those that had it will have it again. All the tax shenanigans in the world won’t improve people’s lives if they cannot do it themselves. Perhaps that is why Catholic charities and similar entities exist. They know the government is playing with people’s lives, and they are there to pick up the pieces, thank God. The shock may come when the need can’t be filled by these charities. Our Founding Fathers did some good things in writing our Constitution, but they missed on one important point. The way they set it up, elected office holders are always focused on the next election: how to win votes and how to gain financing for the campaign. Jefferson and friends should have limited office holders to just ONE term. Knowing that they have only one shot, and that their reputation in history depends on what they do in a limited time frame might make politicians behave a bit more wisely. What the heck is a bordello? And what is Bill Bonner doing there? Thank you for your book Hormegeddon. I read it and read it until I finally understood enough to begin understanding much (but, not all) of it. You have honestly been trying to inform (warn) us U.S. citizens when no one else will, even quietly suggest what’s coming, and I admire you for your sense of responsibility, your incredibly good judgment, and your extraordinary sense of personal ethics. I look forward to hearing more from you. Editor’s Note: Subscribers to Bill’s monthly letter, The Bill Bonner Letter, can read a free copy of Hormegeddon by going right here. If you have $75, then you have all the capital you need to potentially earn millions of dollars in the cryptocurrency market.